The full form of JNUEEE is Jawaharlal Nehru University Engineering Entrance Exam. JNUEEE is a national level exam conducted by Jawaharlal Nehru University. JNUEEE 2019 will be conducted from 27th May, 2019 to 30th May, 2019 for both UG and PG courses. Candidates who wants to take asmission in JNU for UG and PG courses from engineering and M. Tech stream, applier needs to clear the JNUEEE 2019 exam. Conducting Authority: Jawaharlal Nehru University Engineering Entrance Exam acronym as JNU EEE is conducted by Jawaharlal Nehru University for selection of candidate to provide admission to various Engineering course. Admission: The University entrance test offers admissions to undergraduate, postgraduate and Ph.D./M.Phil programs by Jawaharlal Nehru University. Frequency: The JNU EEE 2019 test is conducted once in a year. Educational Eligibility: The applicants who have completed their 10+2, undergraduate and postgraduate courses in the field of Science such as Physical, Chemical, Computer Science or Master of Computer Application (MCA), Mathematics and Statistics can take the examination. Entrance exam: The candidates who cleared the JNUEEE 2019 entrance exam by crossing the minimum cut-off are eligible for admissions to UG and PG programs offered by Jawaharlal Nehru University or its affiliated institutes. Eligibility: The students who meet the JNUEEE 2019 eligibility criteria for this program can apply online at the official website of the University. Admit card: The JNU EEE 2019 admit card can be downloaded from the official website at 22nd May 2019. Results: The JNU EEE 2019 results will be declared on 10th June 2019. Eligibility for UG: The applicant must have passed HSC exam with a minimum aggregate of 55% marks in Physics, Chemistry, and Mathematics to eligible. Eligibility for PG courses: The candidates should have passed graduation with a minimum of 50% aggregate in 10/12th/UG. Candidate should have an MBBS or BHMS degree approved by Goverment Council to apply for M. Phil. Masters Degree in any branch of Science for any P.h.D Programmes. Availability: Candidates can fill up JNU EEE 2019 form from 15th March 2019 to 15th April 2019 at the official page of JNU i.e admissions.jnu.ac.in. Mode: Candidates can fill the JNU EEE 2019 application from their official website of JNU or offline mode (JNU Campus Office). 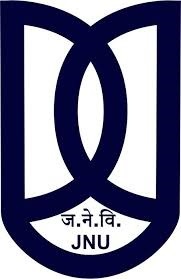 In offline mode candidate can pay the JNUEEE 2019 application fee by cash or DD in favor of Jawaharlal Neheru University (at the time of taking the JBUEEE 2019 form). Paper pattern: The examination pattern consists of multiple choice objective type questions. Marking Scheme: For every correct answer 1 mark will be awarded, and 1 mark will be deducted for every wrong answer. Availability: The Admit Card will be available on the JNU EEE 2019 official website by 22nd May 2019. Download: The registered candidates can download the admit card from the official website by filling the details in the respective form. In case of any issue in the admit card, the candidates can approach the examination authorities to get it rectified. Availability: JNU EEE 2019 counseling starts at 20th June 2019. Original documents and certificates should be submitted by candidates during counseling. Where: The candidates can view their results from the official exam website. Required: The result can be viewed by the candidates by entering their application number in the results portal. Print: The candidates can get a printout of the result for future. Application Registration Date: The Application Form's will be available from 15th March 2019. Last Date for Registration: The last date for Candidates to apply is by the 15th April 2019. Availability of JNU EEE 2019 Admit Card: The Admit Card will be available on the JNU EEE official website by 22nd May 2019. Entrance Exam Date: The Entrance exam for JNU EEE 2019 will be held on the 27th May 2019. Availability of Result: The Results will be available on the official website on the 10th June 2019. Counselling Process Date: The Counselling Process will start after the announcement of the JNU EEE Results, on the 20th June 2019. An applicant who has applied for the M.Phil/Ph.D. programs should have cleared the master’s degree with minimum 50% marks in the concerned subject. The applicants applying for MA course should have completed the bachelor’s degree in any of the domain with minimum marks of 50%. Applicants who are willing to appear for B.A (Hons.) the second year should have qualified the first year of bachelor’s degree or any other recognized examination. The applicants willing to apply for B.A.(Hons.) 1st year should have passed the senior secondary certificate or any other equivalent examination. Applicants must log in to the official website of JNU EEE 2019. Click on the New Registration login link. Read the instructions carefully, prior to applying for the exam. Fill in the required details in the application form and then select a password of minimum six to ten digits. Check all the details thoroughly before submitting the form. Attach all the required documents such as mark sheets /certificates and affix a recent photo and signature on the form. Click on the Submit button to submit the application form. The applicants can fill the application form in either available modes - offline or online. The application forms will be made available online on the official website of the University from February 2019. The last date for submitting the application form is March 2019. The applicants can select and apply for a maximum of three fields of their choice for the same level of the program. Prior to seeking admission, the applicants should have their scanned documents of photographs and signature. The applicants are required to upload the scanned colored photograph and signature in JPEG format. The resolution of the photograph must be 150 X 200 pixels and the size should be between 20-50 KB. The admit card will be available for the month of Feb 2019. The candidate can download the admit card from the university’s website by entering the application or registration number. The admit card is allotted to only those candidates who have successfully enrolled for the test. It is a mandatory document and the candidate must carry his/her admit card or else he/she won’t be allowed to appear for the examination centre. It is advised that the applicant must take a printout of the admit card and must keep it safe to later present it at the time of the exam. The admit card will not be sent to the candidates through post. All applicants must download it from the official website. The test comprises of the two main streams, Technology stream, and life science stream. Basic Engineering & Technology (of undergraduate level). Fundamental Life Sciences and Informatics( 10+2 level). Life Sciences (Biochemistry, Molecular Biology & Immunology of postgraduate level). Maths, Computer & Information Sciences( 10+2 level). The Syllabus of JNU EEE 2019 varies according to the course. The detailed syllabus will be provided by the conducting authority on the date of notification. Every year JNU EEE exam is conducted and many candidates will appear for the examination. The results of the JNU EEE 2019 exam will be declared in the month of June 2019. The actual date of declaration of result will be updated on the official website. The applicants can view their result online by entering details such as registration number and date of birth. The candidates are advised to take print out of the result for future reference. The candidate should remain updated about the date on which the JNU EEE 2019 result will be announced. If the JNU EEE 2019 result is not declared on the mentioned date, the applicants should keep on verifying and checking online about the result. The official website will only provide the adequate information. The JNU EEE 2019 counseling will be held after the announcement of the result in the month of June 2019. For counseling dates, the applicant must register himself or herself at the official website. The counseling session is held on the basis of the marks scored by the applicants in the examination. All the eligible candidates are requested to bring their original documents and certificates at the time of counseling. If any applicant fails to bring his/her requested documents at the time of counseling then his/her admission can get canceled. Also, note that the applicants are not allowed to bring downloaded copies of mark sheets and certificates. The shortlisted applicants can log in to the official website and check their counseling dates. Those candidates who have qualified the test and have secured their name on the merit list will be called for the interview. Eligibility for getting admission in my college is 12th science and GUJCET, for admission candidate should apply online from university's website (www.sdau.org) I will take JNUEEE or TIFER exam for getting admission in M.Sc Cuttof will depend on merit. Candidate must clear the AIIMS PG / JNUEEE exam and must have passed the 12th with an aggregate of 55% marks from the recognized institute to get admission in this college. Those who have completed B.Sc or B.Tech in bio-technology are eligible for getting admission in All India Institute of Medical Sciences. The students have to clear the AIIMS PG exam or JNUEEE exam. My eligibility criteria for joining Pondicherry University for M.Sc biotechnology was graduation in biotechnology and clearing the JNUEEE exam. On the basis of rank in this examination and your preference, you will get admission in the college. One must be +2 passed and have to apply for JNUEEE and qualify it with good marks, cutoffs are not visible during the result but after the admission, it goes visibly on a college website. What is the core concepts which I need to focus? Hi, I am Joseph, I want to know regarding the main topics which I need to focus to qualify for JNU EEE in B. Arch exam. you can follow the Syllabus section to read about the topics covered in the examination. you can also refer the previous year question papers to know the type of questions. How can I get some sample papers ? Hi, I am Joe, I want to practice more, How can I get the sample papers for JNU EEE entrance exams 2018? Thanks for your question. Yes, it's really important to go through the mock test papers to do well in the examination.